From parties to protests to prayer, music is a powerful catalyst for celebration, for change, and for a sense of community. Through making music together, we become bigger than ourselves. Whether singing with our families and friends or with thousands of strangers in an arena, music transforms lives, engages individuals, and connects local and global communities. The Social Power of Music chronicles the vivid, impassioned, and myriad ways in which music binds, incites, memorializes, and moves groups of people. This richly illustrated 124-page book, with 80+ tracks on 4 CDs, invites listeners into musical practices, episodes, and movements throughout the U.S. and beyond. These songs of struggle, devotion, celebration, and migration remind us that music has the potential to change our world. 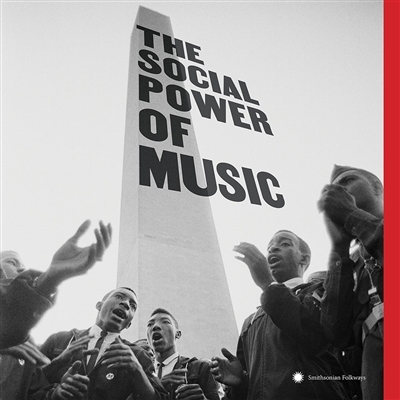 The Social Power of Music looks at this music through four dierent perspectives. Disc 4: Global Movements looks to the use of roots music in key political movements around the world, tapping into anti-fascist verses, odes to the working class, and polemics against governmental corruption and violence.